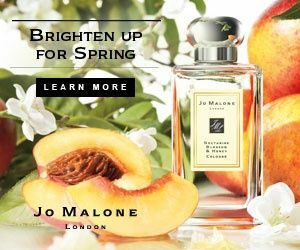 Jo Malone’s brand celebrates British style, unexpected fragrances, and the elegant art of gift giving. Each scented creation is elegantly simple, and can be layered for an expression of individuality. Crafted from the highest quality ingredients with a touch of the unexpected, Jo Malone London remains at the forefront of perfumery. J’Adore is for the confident, sensual woman who celebrates her femininity. A magnificent floral bouquet, J’Adore was created in 1999 by Calice Becker for Dior.Its floral-fruity notes instill a warm touch while its rose notes come to warm the senses. Delicate and sensual, all elements of this fragrance work in harmony to create an incredibly beautiful scent.